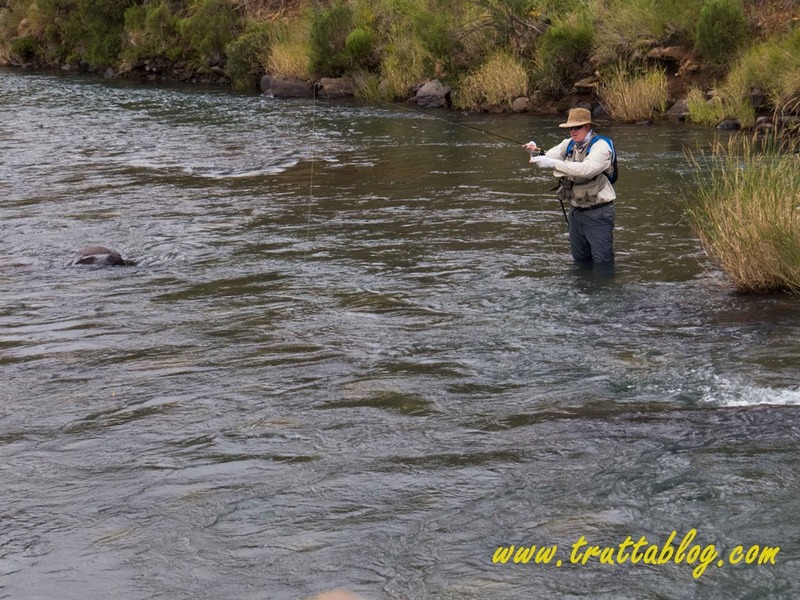 I recently remarked to someone, and I can’t remember who it was, that big river Trout are often caught in riffle or rapid water in close proximity to a good pool. I expanded the theory a bit. “Fleshed it out”, as one tends to do with a good fly fishing theory. Big “peachy looking” pools often disappoint. You expect that you will get a lunker out of there, only to be disappointed with a tiddler or two. Then your best fish of the season comes out of some shallow run, or frothy white water, with just an inkling of a pocket in it, You often hear “I would never have said there would be a fish in there, let alone such a good one !” . And I got to thinking about some of the better fish I have pulled out of such thin or fast water, and it dawned on me that there was often a monster pool close by. Graeme Steart raised some good fish one day last season, on a fast stretch on the Mkhomazi. He failed to hook them, but I was watching, and they were GOOD Trout. I got my best ever river Brown in a shallow run in the river, that was just above a very deep hole. Some of the better Browns on the Umgeni come from the rapids at “The Bog” which is above the longest pool I have ever fished. I could go on. Then lo, and behold: I was reading Dave Hughes’ excellent book “Trout from Small Streams” the other day, and I stumbled upon these words ”my only guess is that the trout view the depths of the nearby pool as a bomb shelter and stay near it so they can dive into it when they come under attack”. This is in a paragraph (Page 99 in the second edition) wherein he describes rivers with good looking pools that turn out to be barren on account of their featureless rock bottoms, and where trout are more plentiful in the fast water between pools. 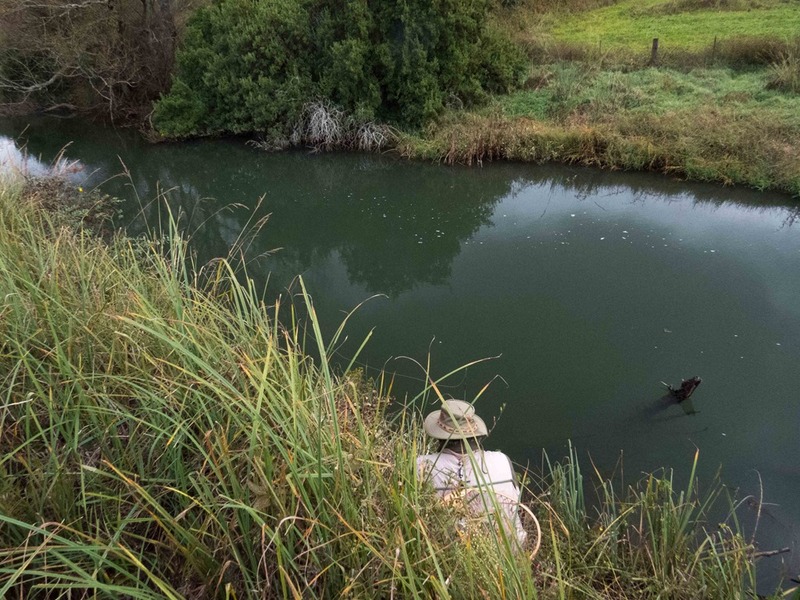 He describes how a pool may contain very little by way of sand, mud and gravel that sustains insect populations, and how a trout that may choose the pool for its depth and sanctity, may need to venture out to find food in more fertile spots. So like all good theories, I was certainly far from the first one to come up with the idea. Looking at some local permutations of this: On the Umgeni, in a severe drought, pools like “Three quarter mile pool” always have plenty of water, and the area seems to act as a nursery for fish, from which the water is “re seeded” when flows return to normal. Deep pools lack the degree of sunlight shining through to the bottom that more shallow stretches of water enjoy. Re-flooded shallows always seem to offer terrestrial food turned water borne food, and therefore attract both insects and things that feed on those insects. We all know this in the stillwater context, but I wonder if we think about it much in the context of rivers? The other aspect that might be worth a thought: Often a pool contains one lunker, and several little chaps of similar size to one another, but considerably smaller than said lunker. If you are a little guy, and you leave upstream on a bug hunt, when you get back you may be way down the pecking order, and lose your spot at the tongue of current up front, and have to fight your way back. If you are the lunker, you can go on a veritable safari, and when you get back, the little guys shove off in respect for your size, and you can merely take up station at the front of the dinner queue when the current delivers morsels to you first. So a really big fish, might be more inclined to move about, secure in the knowledge that he can return. With these things in mind, it makes sense to fish just above and below deep pools with the greatest of anticipation, and all the stealth and care that comes with that. This may be an even more highly recommended practice after a normal dry winter, or after a drought has been broken. The theory would be that the grandpa of the pool is hungry, and heads out into more fruitful waters to hunt and re-gain his summer condition. He can go back to deep water and snacks when he feels the need. I don’t know why, but I sense this is more likely to be a practice of Brown Trout than Rainbows. Maybe it is something I once read, or perhaps it is just one of those things that has sunk in over the years. It could be drivel too! All I know is that the season starts this week, and I live in Brown Trout country. Maybe all this is more the stuff of dreams than pure science. It is more fun than trying to decide whether to fix ones mortgage rate though. This entry was posted on August 31, 2015 by trutta. 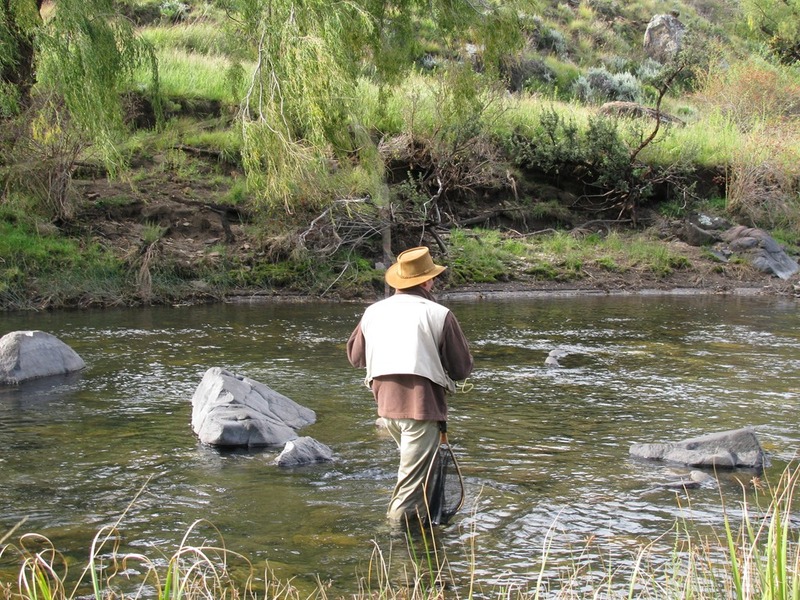 It was filed under Streams and was tagged with big browns, Big Trout, Dave Highes, deep water, fishing riffles, Mkhomazi, pocket water, Trout from small streams, Umgeni River. I’ve observed the same thing that you highlight in this post, and I agree that it seems to be more prevalent with brown trout than other trout species. There is nothing better than extracting a larger than average trout from a marginal location. I do think this occurs more frequently during hatch periods when the fish spread out more to take advantage of an abundant food source. Thank you Dave. I suspect that with the browns it will happen in low light too….after dark or very early morning. Night fishing is something hardly ever practiced on rivers in SA and something my fishing buddies and I have been speaking about.